ONE person above all others has been diminished by last week’s general election but it isn’t Theresa May. It is George Osborne. It is incredible to think that just a year ago he sat at the top of government, the favourite to succeed David Cameron when, as was expected, the then prime minister retired in 2018 or 2019. This weekend his fall from grace was completed when he appeared on the BBC’s Andrew Marr Show to describe Theresa May as a “dead woman walking”. This, on top of the Evening Standard headlines he penned last week describing May as the “Queen of Denial”, among other things. If Theresa May is a dead woman walking, I hate to think where that puts George Osborne – perhaps a ghoul howling from the political graveyard in perpetual anguish at his unfulfilled ambition. I am sure that Osborne feels bitter about his brutal sacking as Chancellor by Mrs May last July. But it is a disappointment which countless other ministers have suffered over the years – and mostly without the need to carp vindictively from the sidelines as Osborne is doing. David Cameron, too, must feel bitter at the manner of his exit from Number 10. But he has kept a dignified silence ever since. Mrs Thatcher was not exactly the most graceful loser after being forced from office in 1990. But whatever her private thoughts she kept out of the subsequent general election campaign and allowed her successor John Major a free run. When past leaders and ministers have intervened they have mostly done so by donning the mantle of elder statesmen: giving a balanced view as to why they think a particular policy is wrong. Many will disagree with John Major’s interventions on Brexit, for example, but the manner in which he has delivered them has earned him widespread respect on both sides of the argument. Yet from the moment George Osborne left the Commons he has missed no opportunity to try to undermine the Prime Minister. On his first day as editor of the London Evening Standard (one of the many jobs he now has) on May 2 he ran with a headline: “Brussels twists the knife on Brexit.” This was based on a tweet by European Parliament negotiator Guy Verhofstadt which had been blown out of all proportion. The Standard that day also carried a leader declaring that Brexit was a “historic mistake”. Osborne followed it up with a leader just before election day which, while notionally advising people to vote Conservative, carried barbed comments against the Prime Minister herself, accusing her of “stigmatising immigrants” and claiming that her premiership was based on a “personality cult”. Osborne’s coverage of the general election campaign was obviously not balanced, objective reporting of the news but then neither was it in the great tradition of a campaigning newspaper making its case. It was simply a rookie editor, who has never had a senior role in the industry and is spectacularly ill-qualified for the post, thinking that the purpose of a newspaper is to give its editor a megaphone for his personal grievances. 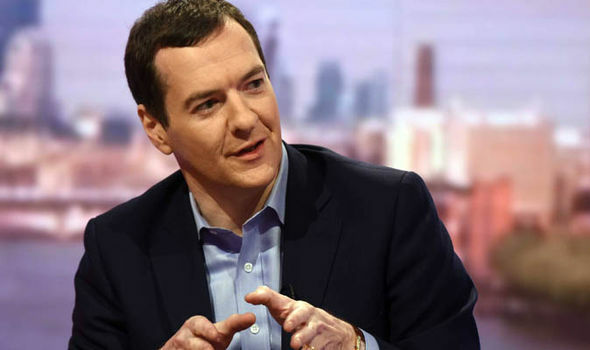 In doing so Osborne has broken one of the first rules of journalism: don’t become the story yourself. 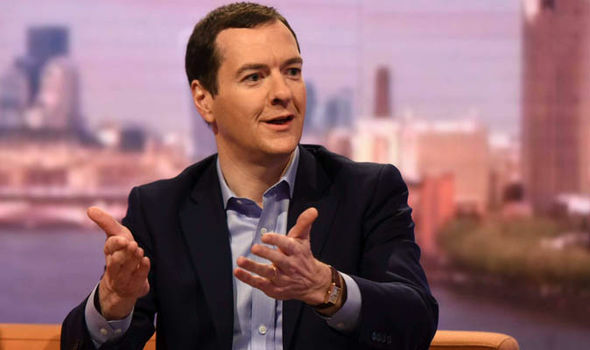 Osborne’s treachery raises the question: for all those years when he was campaigning for Conservative election victories was he really bothered about promoting conservatism or was he only ever in it for himself? I am not going to descend to Osborne’s level and rubbish everything he has ever done. Despite fiascos such as the pasty tax he did at least manage to steer the public finances out of the ruinous position in which Gordon Brown had left them. Yet he seems to lack any insight as to why he had to be removed from his job last July. He had invested so much in a Remain vote that his position as Chancellor was untenable. He had used the full apparatus of government to pump out propaganda claiming that Britain would suffer up to 800,000 job losses and the economy would shrink up to six per cent in the aftermath of a vote for Brexit. Had Britain voted to Remain he would have got away with it. But instead his hyperbolic predictions were quickly shown to be wrong. Even so, Osborne could have stuck it out in the House of Commons. Instead he just gave up on Parliament completely as soon as a high-profile job came along. With a likely vacancy at Number 10 before the next election how he must regret his decision to leave politics. Theresa May has been compared in recent days to former PM Edward Heath, who in 1974 called an unnecessary election and emerged the loser. 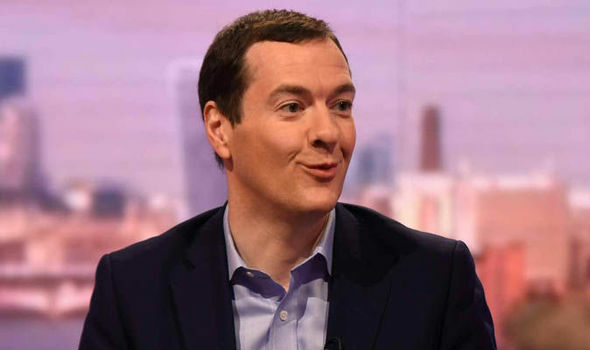 But if you are looking for a latter day Ted Heath, George Osborne is a far closer match. The last 27 years of Heath’s political career were described as “the incredible sulk”, so bitter was he at losing the Tory leadership to Margaret Thatcher. The difference is that Heath was 58 when he lost his post as leader. Osborne is still only 46. Either he snaps out of his bitterness or some very long and very tragic decades lie ahead.